Every year, my students fall in love with Trickster Tales. This sub-genre of traditional tales never ceases to delight with its tricky heroes and unexpected twists. Since Africa is our first unit of study, Anansi is often the first trickster we meet during the course of the year. 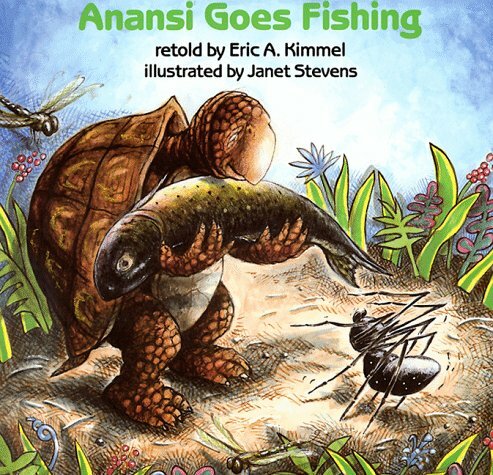 This post will provide a quick overview of the five Anansi tales retold by Eric Kimmel, and next week I will introduce Anansi stories by a variety of authors and illustrators. 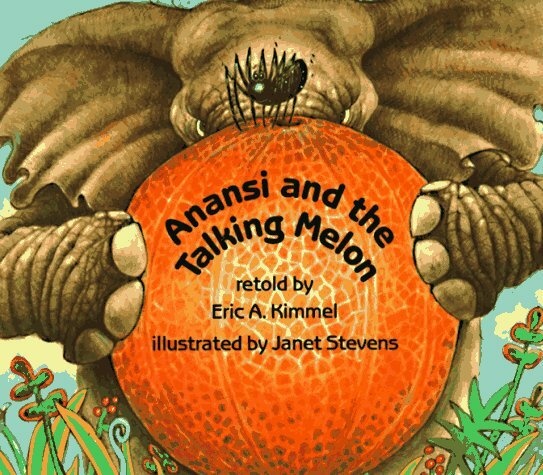 Eric Kimmel has written a series of picture book based on African Anansi tales, which Janet Stevens illustrated. These are a delightful way to introduce your students to Anansi. 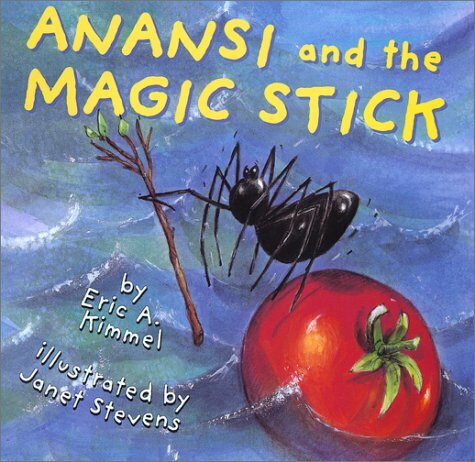 Anansi and the Magic Stick. The plot of this story derives from a Liberian story called The Magic Hoe but it will be quite familiar to The Sorceror's Apprentice in Fantasia and Strega Nona by Tomie de Paola. 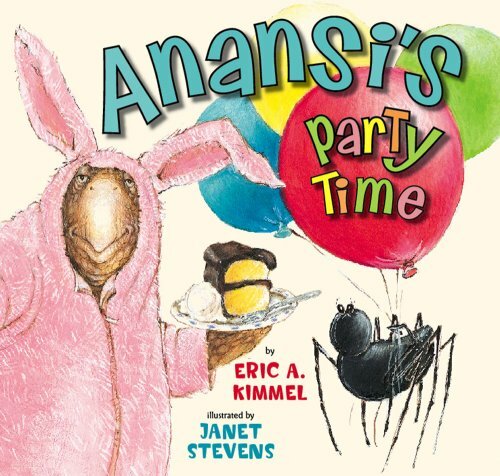 Anansi kidnaps Jackal's magic stick only to find that his laziness in giving directions leads to disastrous consequences! These last three are a bit different than the first two. 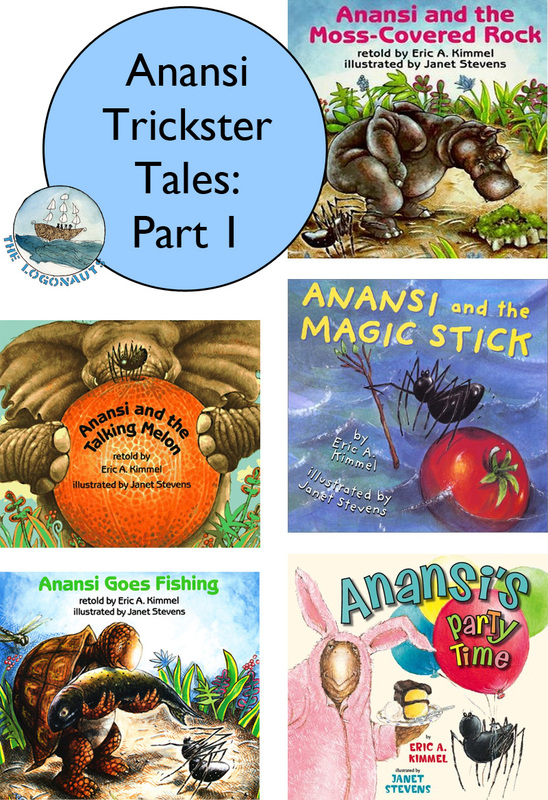 Anansi is successful in Anansi and the Talking Melon and suffers no real consequences in Anansi and the Magic Stick, but in these last three tales, our trickster finds himself on the end of some tricks. Next week I will introduce some of the wide-range of other Anansi stories available in picture books and compilations suitable for children. 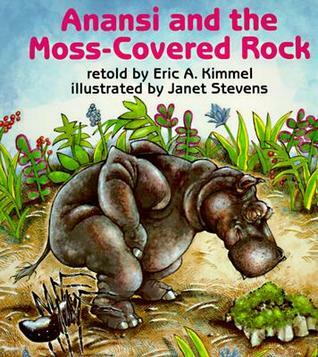 I saw a wonderful oral retelling of Anansi and the moss colored rock during a kids' book festival and it was wonderful. Lots of people definitely enjoyed the tricks and his comeuppance! That would be a great one to hear aloud. Now picture it being performed by third graders with musical accompaniment - including a slide whistle and gong each time a character fell down! My kids had a blast with it. I love folk tales, and shared one today, too, Katie. These look great, & it's nice to hear about your reader's theater too! Thanks for all the lists you're sharing. Thanks, Linda! I love Readers' Theater for the ease of using it in the classroom and for not worrying about big sets, props, etc. The kids love a chance to act. One of the chapters in the Asian children's book that I edited has to do with Trickster tales and Anansi was heavily mentioned there by the academic from New Zealand who wrote it. Loved your compilation here. Thanks so much, Myra. Next week's post I have quite a few from other authors and edited collections as well, as he is a prolific character. 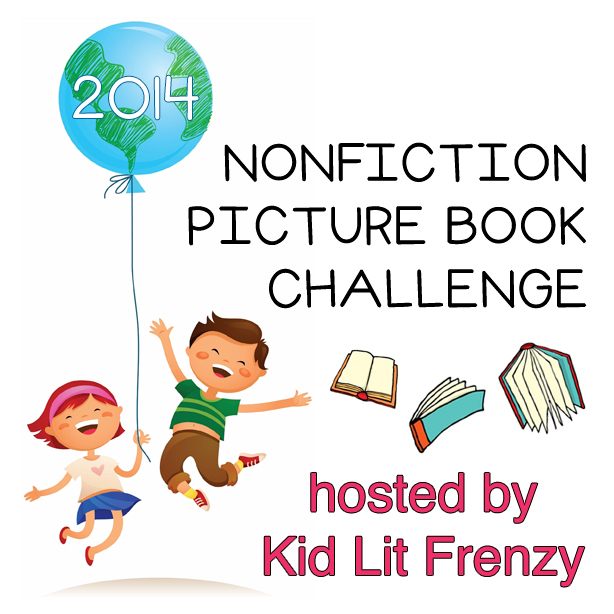 Has your book been published yet? It sounds like a chapter worth checking out, for sure.